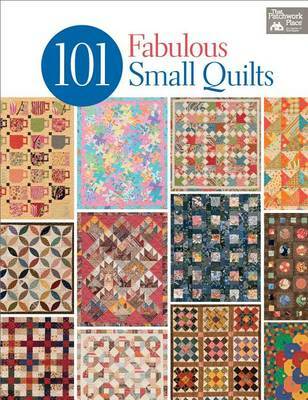 This is a fabulous collection of fun and easy small quilts in a wide variety of colour and styles. You can find a new favourite quilt with fantastic collection of 101 fun and inspiring patterns in a wide array of colours and styles. You can create doll quilts, wall quilts, table runners, candle mats, lap quilts, and so much more from popular designers such as Country Threads, Kathleen Tracy, Kim Diehl, Little Quilts, Lori Smith, and Mary Hickey.